See you again next week with more cookies! thank you so much for joining my party. Because I love walnuts, I planted some years ago a little tree in my garden. This year we harvested enough walnuts for cookies. So I am happy with this delicious recipe. Thank you so much for sharing. These look so tasty sitting on that seamist FY2K plate! Thanks Johanna and Daphne! 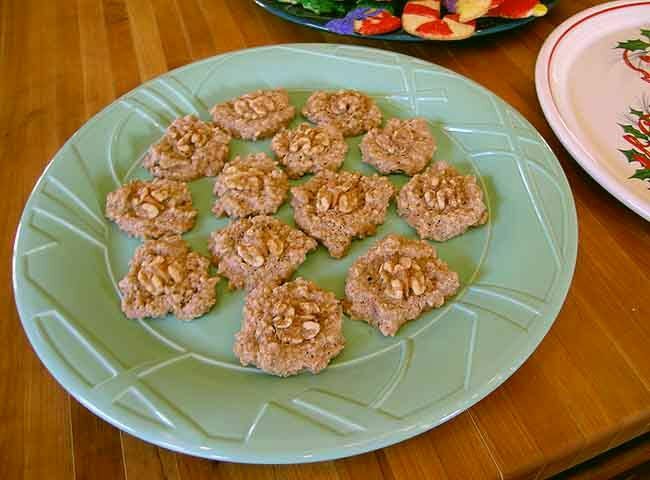 I just love these cookies and I'm so happy you have your very own walnuts Johanna!